Do you have what it takes to be a top cryptocurrency trader? By using your knowledge of crypto trends and predicting the most popular coins’ movements, you can easily make money with no risks, and no need to invest your own funds. How? By testing your crypto mastery in Chainbits’ Weekly Competition! Choose the top 5 cryptocurrencies you think are going to see the greatest 7-day price increase, ranked from highest to lowest. 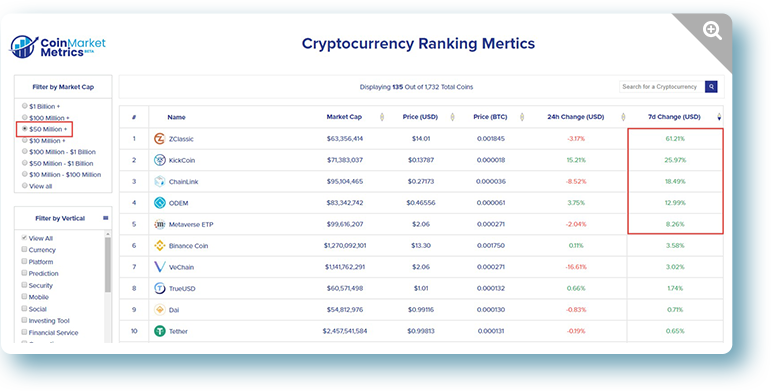 Results are based on CoinMarketMetrics from a list of cryptocurrencies with a market cap greater than or equal to 50M. To be eligible for the weekly and overall prizes, follow @chainbitsweb on Twitter, and retweet the pinned message on your own feed. At the end of each round, you’ll receive 1 point for each correct cryptocurrency you selected, and 3 points for each cryptocurrency you place in the proper order (from 1 to 5). Keep in mind that once you choose, you can’t change your mind. Remember that you can participate in a single week, or the entire challenge for a chance to earn up to 10 ETH in total rewards. No matter how often or how long you choose to participate for, you can win a weekly reward, or the highest accumulated score reward with the Chainbits Weekly Competition. At the end of every week during the challenge, the first participant to reach 15 points will take the prize. Remember that it’s a winner-take-all world, so only the first person to submit the correct list will win. You can also win additional points during the competition by answering the bonus question that ChainBits may periodically add to the challenge. At the end of the 8-week challenge, the user with the highest accumulated score will win 2 ETH. If you score a tie, the prize will be divided equally among the winners. The best part is, if you participate every week during the 8-week challenge, you have the opportunity to win up to 10 ETH. 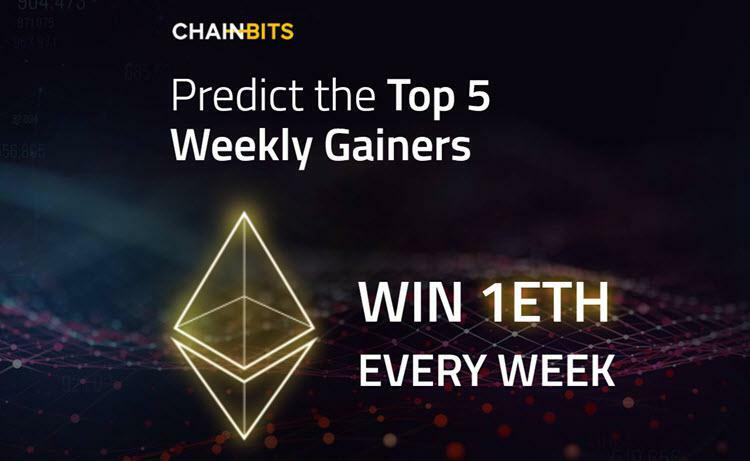 See how well you know the markets to win big with no risk in the ChainBits Weekly Competition!